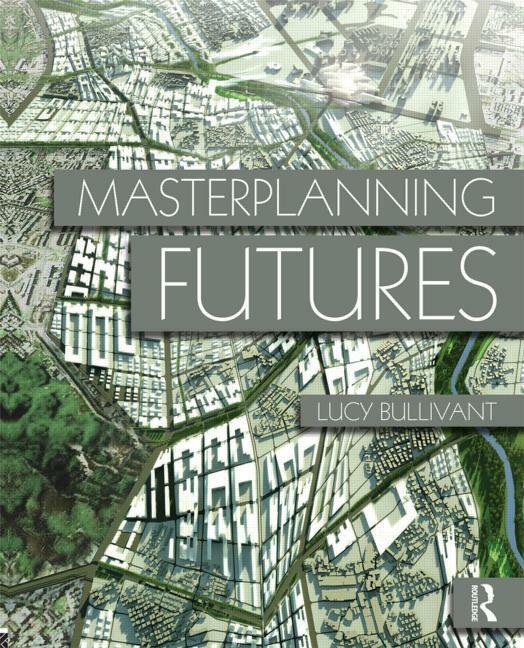 Lucy Bullivant analyses the ideals and processes of international masterplans, and their role in the evolution of many different types of urban contexts in both the developed and developing world. 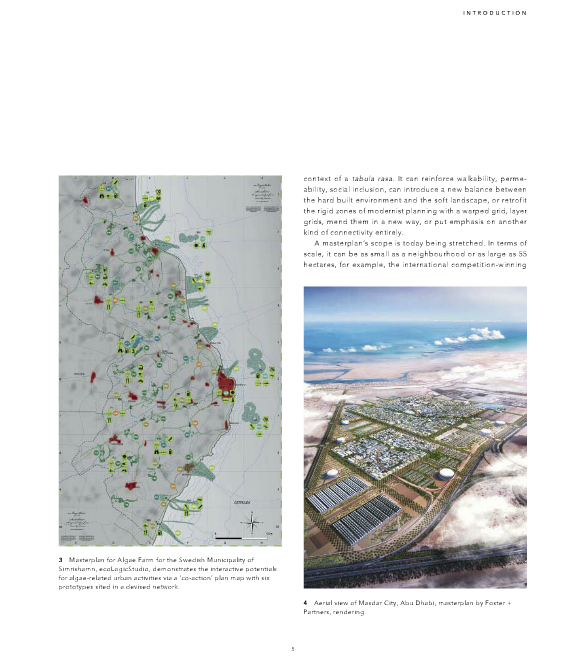 Among the book’s key themes are landscape-driven schemes, social equity through the reevaluation of spatial planning, and the evolution of strategies responding to a range of ecological issues and the demands of social growth. In the past, spatial masterplans for cities have been fixed blueprints realized as physical form through conventional top down processes. These frequently disregarded existing social and cultural structures, while the old modernist planning model zoned space for home and work. 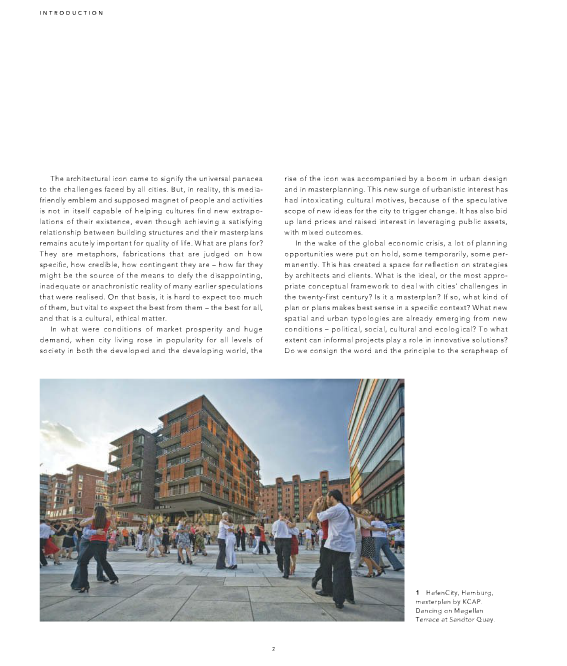 At a time of urban growth, these models are now being replaced by more adaptable, mixed use plans dealing holistically with the physical, social and economic revival of districts, cities and regions. 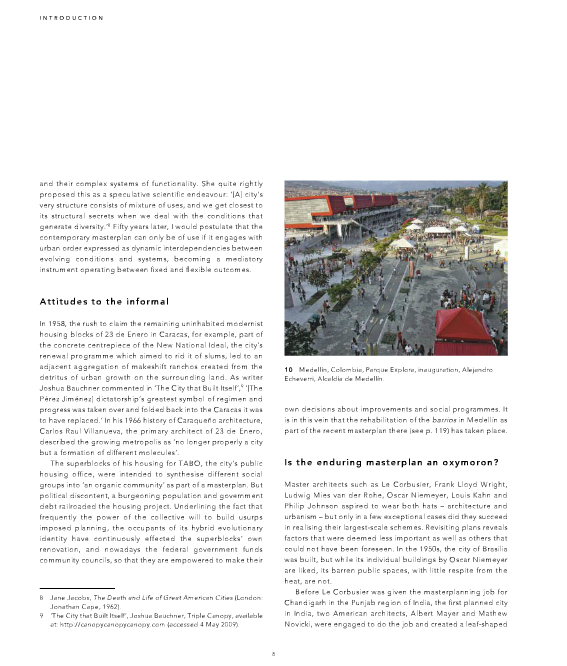 Through today’s public participative approaches and using technologically enabled tools, contemporary masterplanning instruments embody fresh principles, giving cities a greater resilience and capacity for social integration and change in the future. Drawing on first-hand accounts and illustrated throughout with colour photographs, plans and visualizations, the book includes twenty essays introduced by an extensive overview of the field and its objectives. 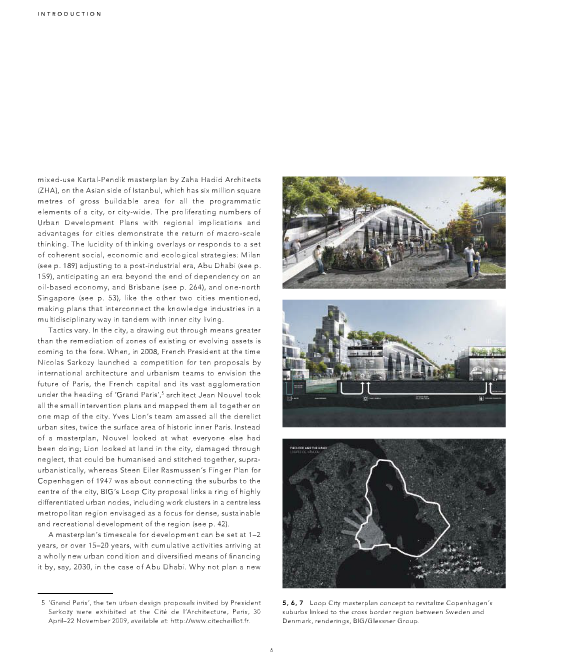 These investigate plans including one-north Singapore, Masdar City in Abu Dhabi, Xochimilco in Mexico City and Waterfront Seattle, illuminating their distinct yet complementary integrated strategies. 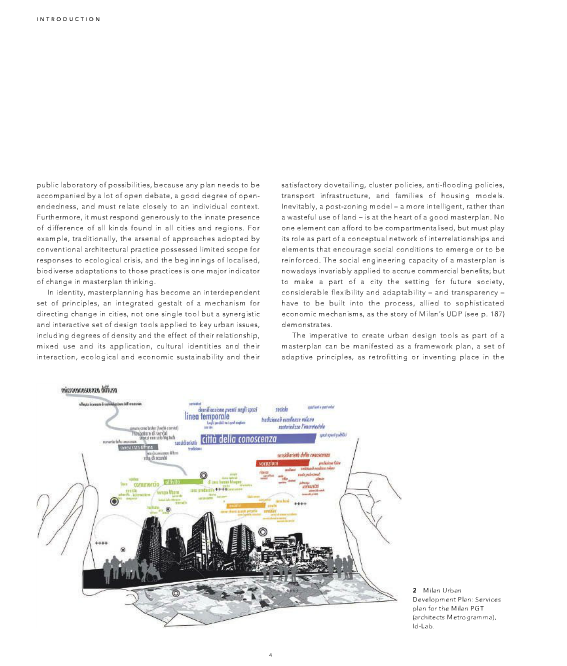 This is a key book for those interested in today’s multiscalar masterplanning and conceptually advanced methodologies and principles being applied to meet the challenges and opportunities of the urbanizing world. Lucy Bullivant Honorary Fellowship from RIBA is an architecture curator, guest lecturer and internationally published author and critic. She works internationally with leading museums, galleries, cultural and educational institutions, publishers, corporate and non-profit bodies. She is the author of New Arcadians, Responsive Environments, 4dsocial, 4dspace and Anglo Files: UK Architecture’s Rising Generation. Lucy is an International correspondent to Domus, The Plan, Volume and Indesign.